What happens when my finance agreement ends? When deciding which finance agreement to go for it’s worth thinking about what will happen after it ends. At the end of many finance agreements, there is the option to purchase your vehicle. This can be done through a MGFV (Minimum Guaranteed Future Value)or balloon payment, or through a contract purchase. 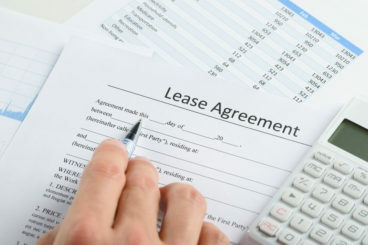 We understand that this can be quite confusing so we’re going to talk you through the three most common finance agreements and what they offer in terms of purchasing your lease vehicle at the end of the contract. What Happens at the End of a Personal Contract Purchase? Hand the vehicle back at the end of the contract. Sell the vehicle at any time in the contract, so long as the guaranteed future value and any other fees are covered. Any equity in the vehicle is yours to keep. Buy the vehicle at the end of the contract for a pre-agreed value. As you can see, a Personal Contract Purchase offers much more flexibility than other finance agreements. You don’t have to wait for the end of the contract either. If you contact the finance company, they will give you a settlement figure and if you can sell the car for more than that, anything above is yours to keep. What Happens at the End of a Contract Purchase? 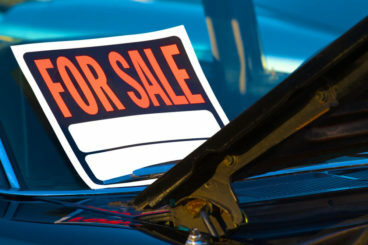 The car can be purchased for a pre-agreed value. You can hand the vehicle back to the finance house with nothing further to pay as long as you have kept within the mileage and have kept it in good condition as per the BVRLA guide mentioned earlier in this article. You can part exchange the vehicle and once the finance has been cleared you can use any equity towards the deposit of your next car. Like the Personal Contract Purchase you have more flexibility with what you want to do with the car when the agreement ends. You can also make your decision up to a month before the agreement ends. With both of the above agreements, you can hand the vehicle back even if you have gone over the mileage. You will be expected to pay an excess mileage charge, but luckily we have written an article that explains, in detail, that very charge. You can read about what happens when you go over your agreed mileage here. What is a MGFV Payment? An MGFV payment is the amount of money that the car is expected to be worth at the end of the contract. This is determined by the number of years you are keeping it for and the mileage you are expecting to do. This is set at the beginning of the contract. If you want to give your car back to the finance house at the end of the agreement you need to have kept it in good condition. A good vehicle supplier should provide you with the BVRLA Fair Wear and Tear Guide which gives the benchmark of what is and what is not acceptable. Of course, if you run the car into the ground then you will be liable for an additional cost. If you go over your mileage then you will have to pay an excess mileage charge which is set at the beginning of the contract. What is the Difference Between an MGFV and Balloon Payment? The answer is: quite a lot. You only get a balloon payment with a finance scheme called HP and Balloon or Lease Purchase With a balloon payment it is your responsibility to pay this at the end of the agreement, you cannot just hand the vehicle back to the finance house. However, the agreement does not have any mileage or condition restrictions. Obviously, the fewer miles you do and the better you look after the vehicle, the more it will be worth. What Happens at the End of a Hire Purchase? A Hire Purchase contract is where you finance the overall cost of the vehicle, with the payments spread out over a number of years. Once you’ve paid off the finance agreement you own it outright. This means that though it will be more expensive per month, you won’t have to worry about the, final payment. There won’t be any ifs or buts when it comes to owning the vehicle either. Hopefully this has given you enough information on what happens at the end of your finance agreement.